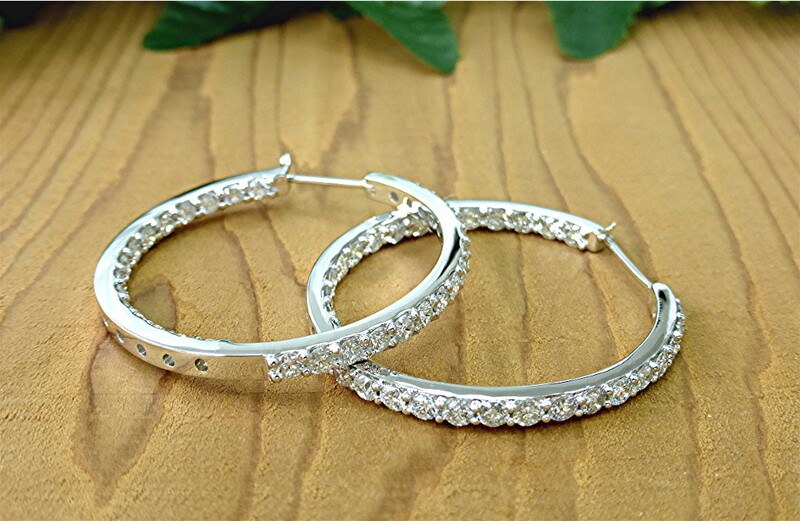 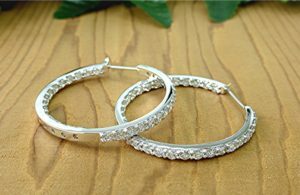 remake lost in-and-out design lost earring. 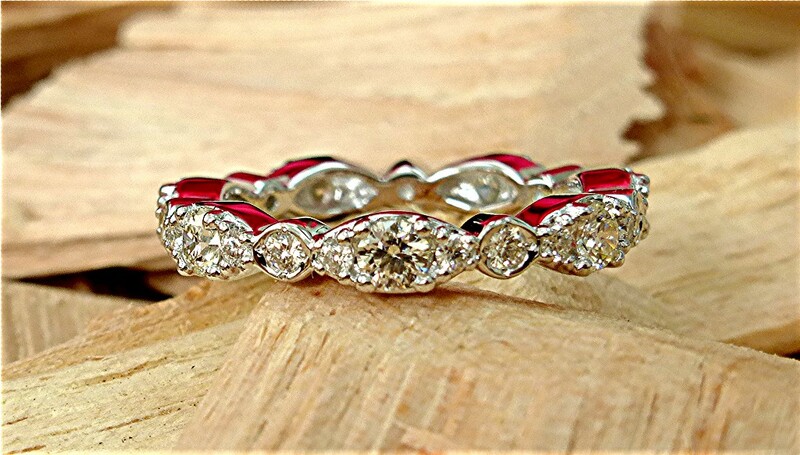 62 round brilliant cut diamonds totaling five carats, prong set in 14k white mounting. 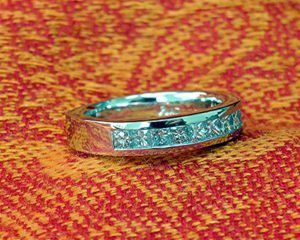 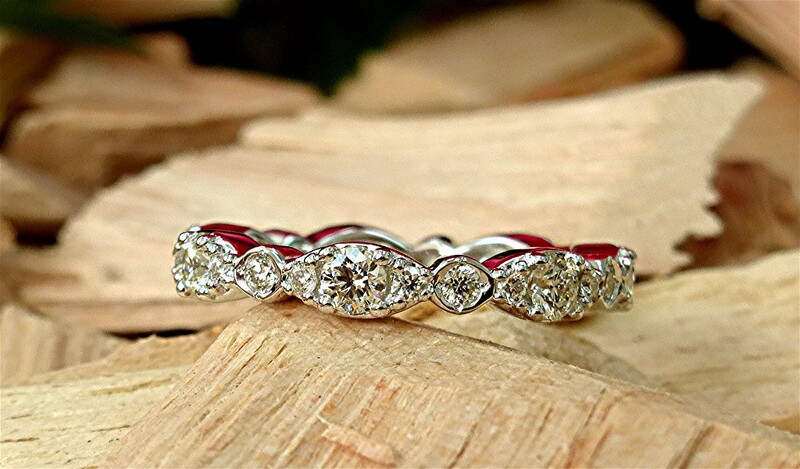 one row pave set diamond band containing 23 round brilliant cut diamond totaling 0.25carat with mill grained edges in 14k white gold finger size 7. 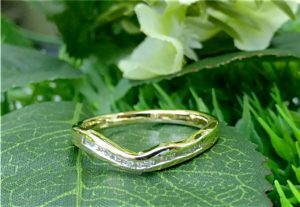 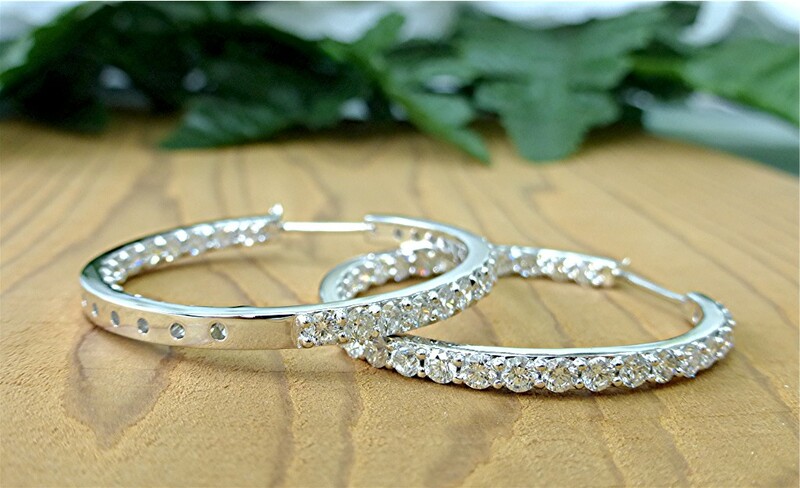 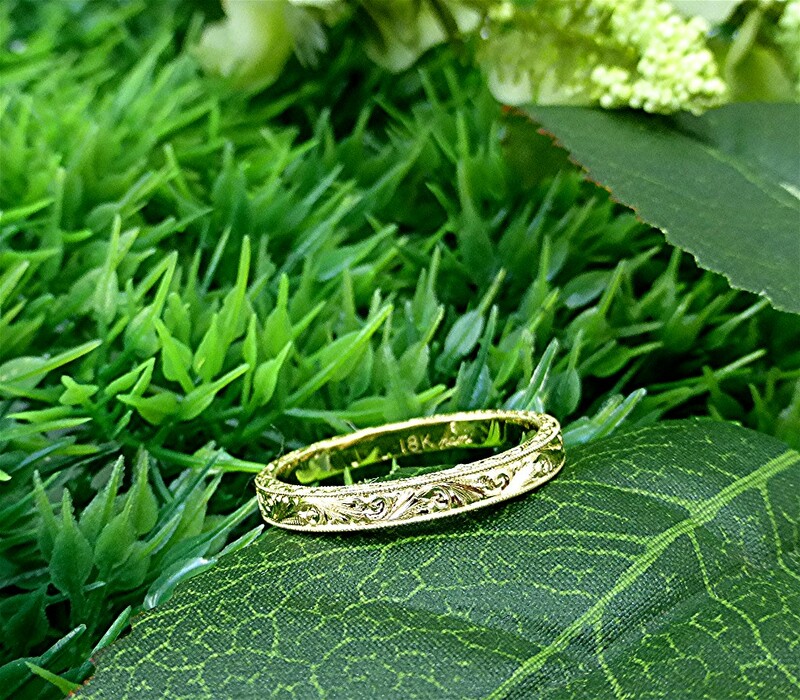 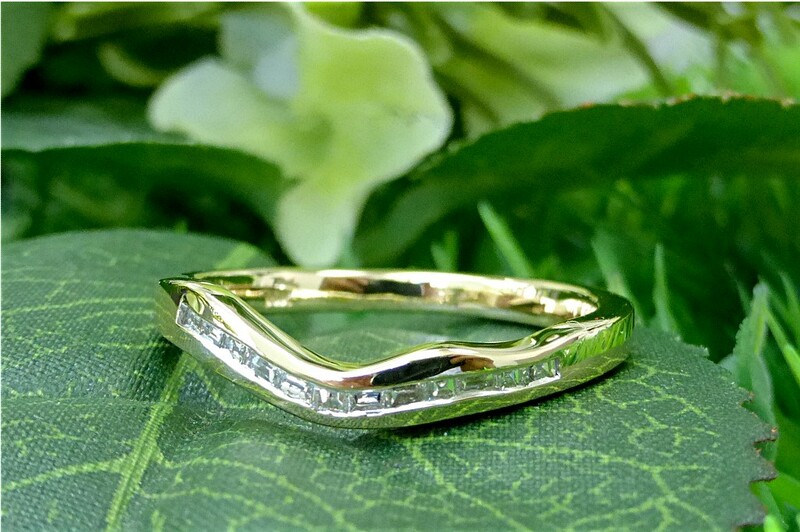 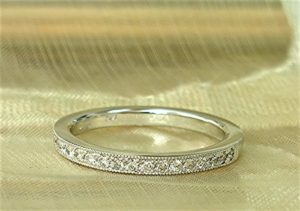 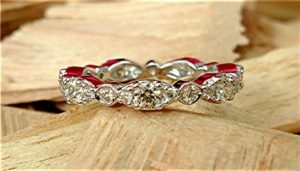 Three row 14k white ring with 38 prong set round brilliant cut diamonds on two sides weighing 0.57ct., four 4.3mm diamonds(1.19ct.) 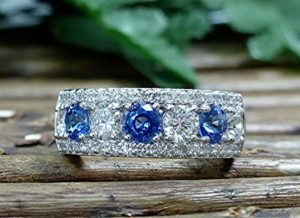 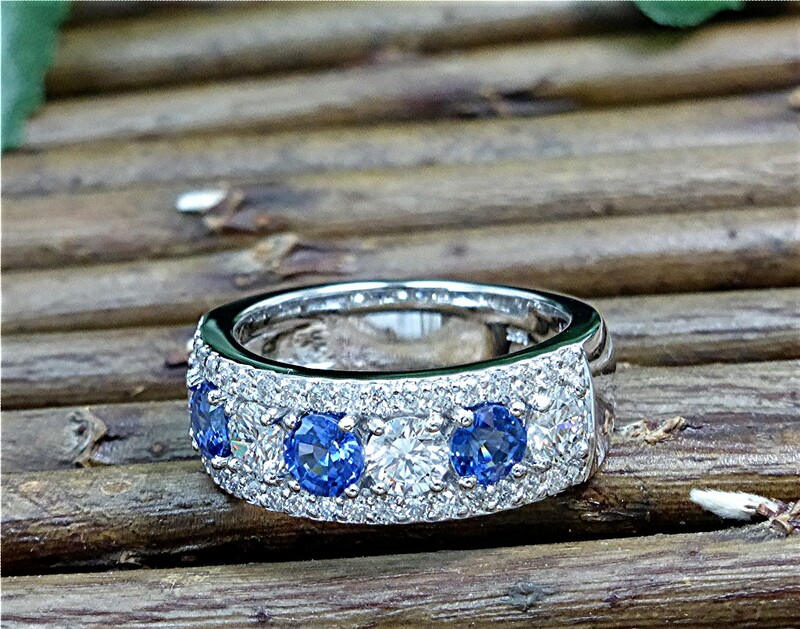 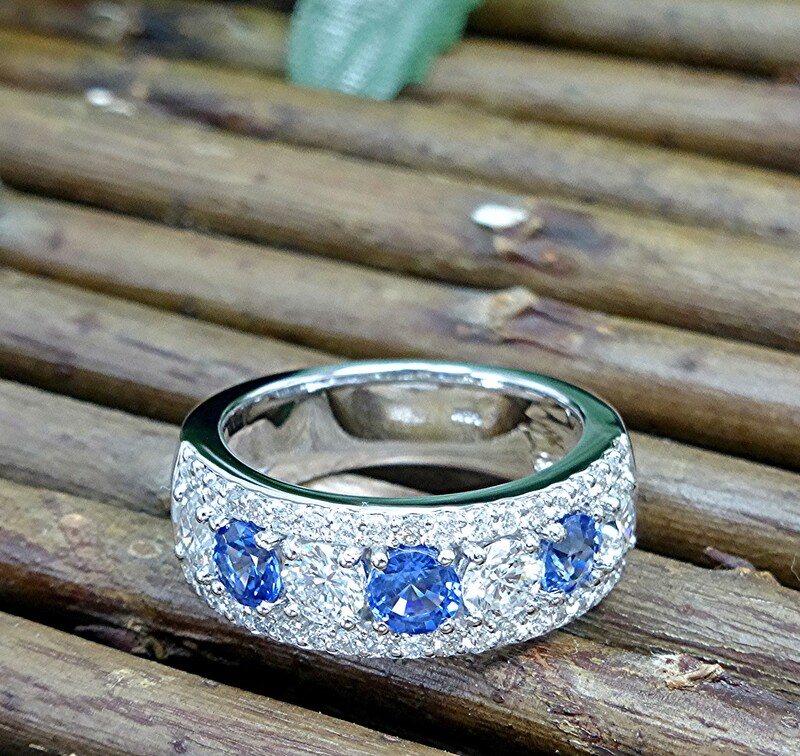 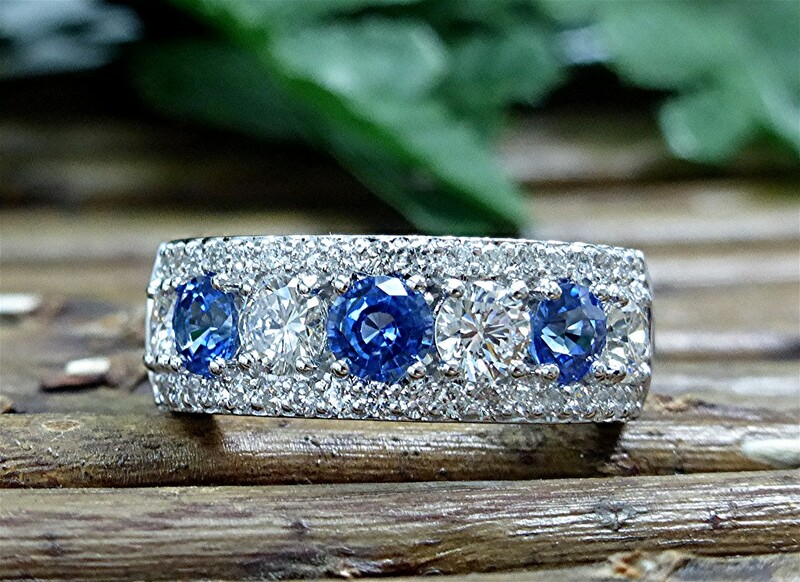 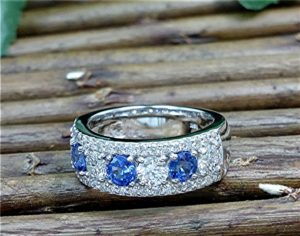 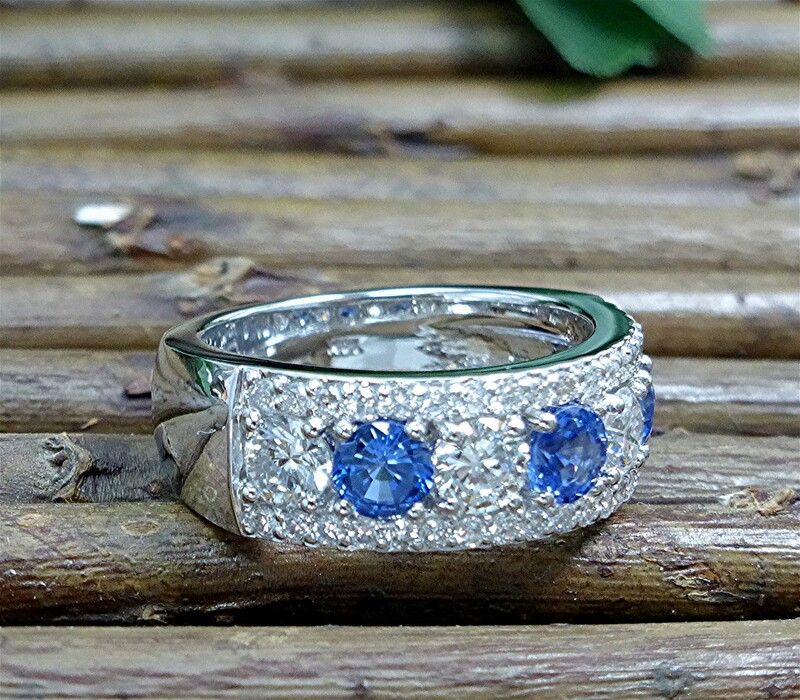 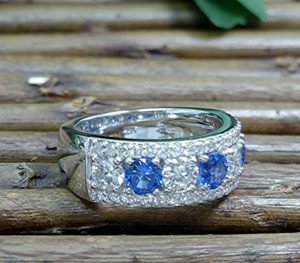 and three 4.3mm round Ceylon sapphires(1.44ct.) 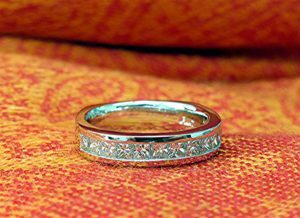 set in the middle row. 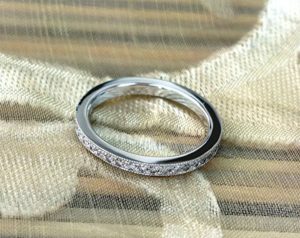 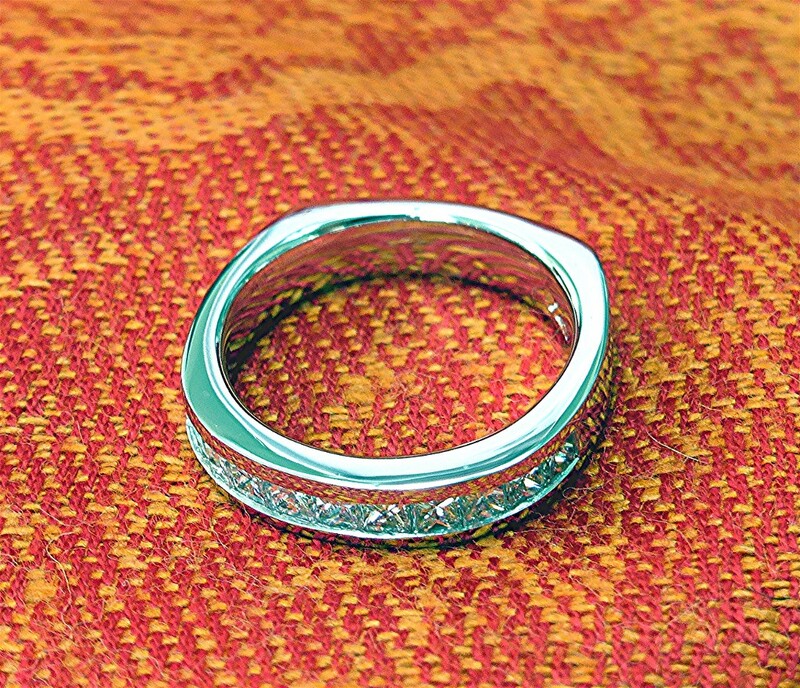 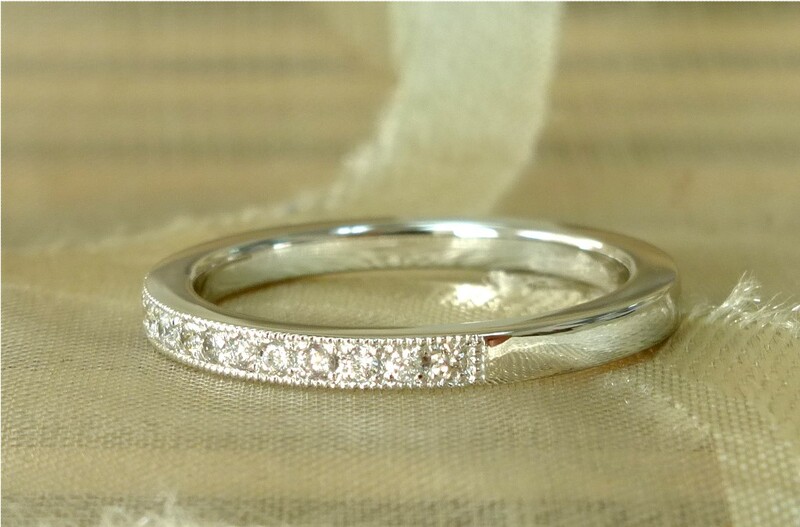 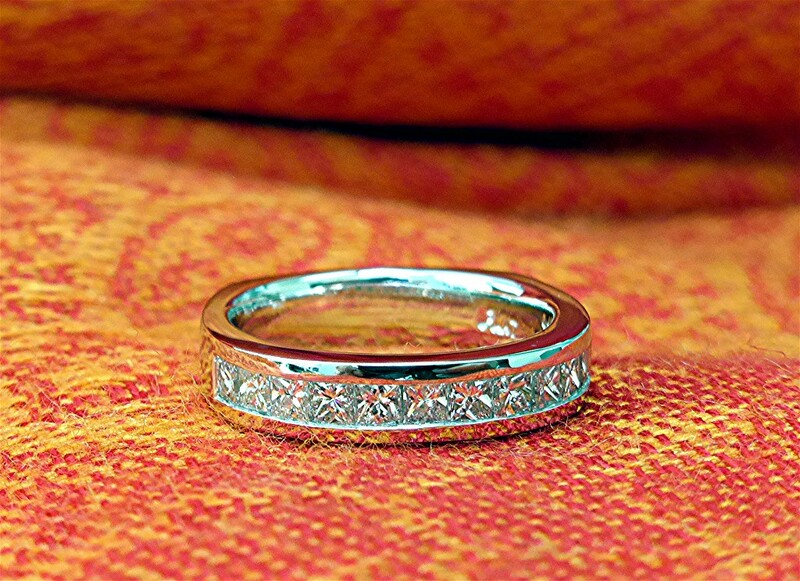 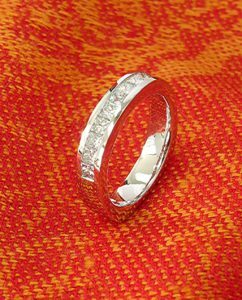 This eternity band has 7 identical sections, made from 18k white gold with 27, ideal cut, round brilliant cut diamonds. 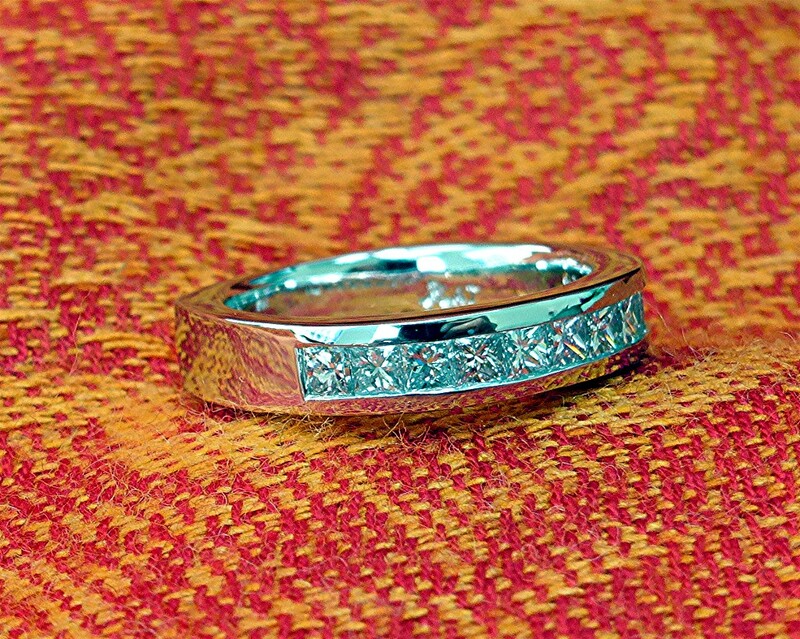 Eleven princess cut diamonds, G color VS clarity, channel set in platinum mounting with square European shank. 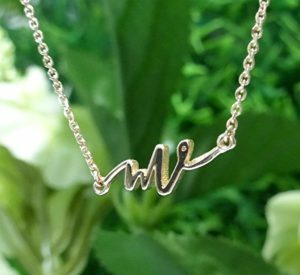 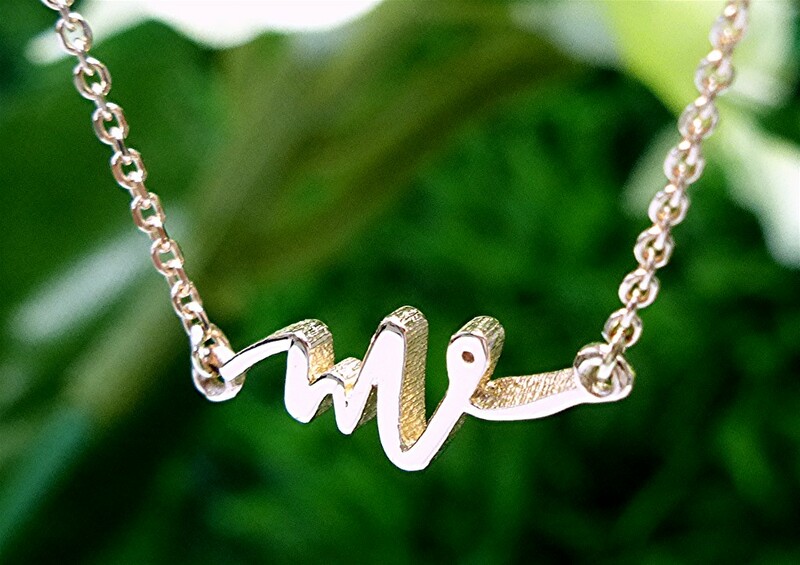 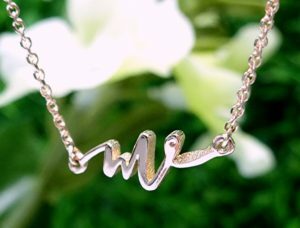 This necklace is the logo as well as initials of the customer. 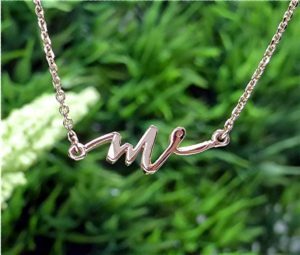 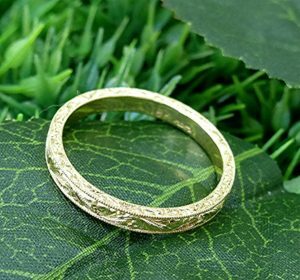 made in 14k premium rose gold. 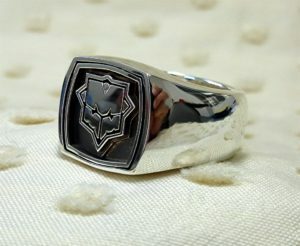 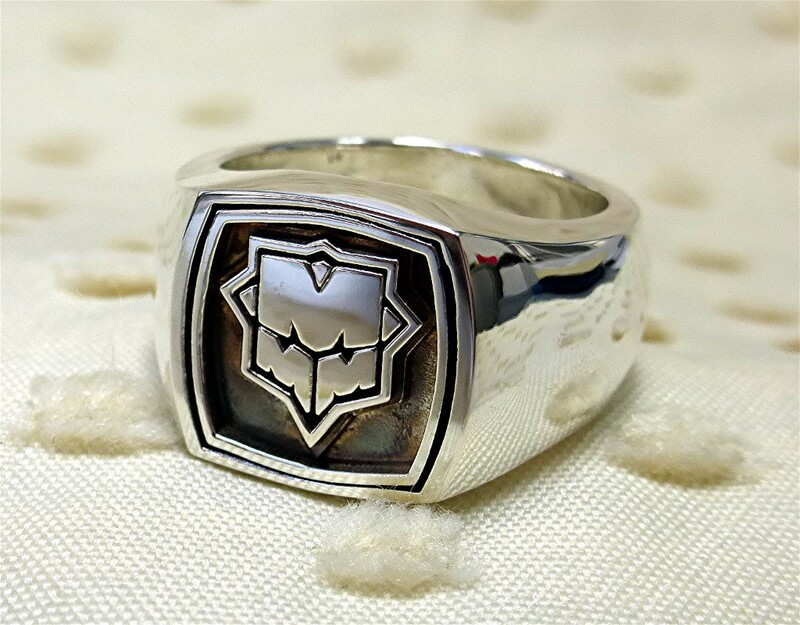 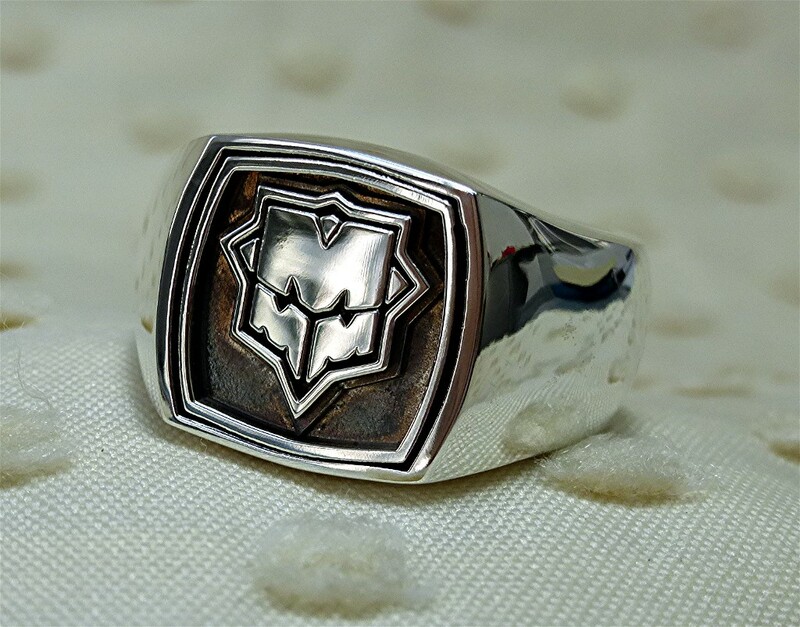 3-millimeter-wide band with scroll design hand engraving with mill grain edges. 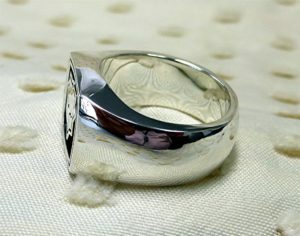 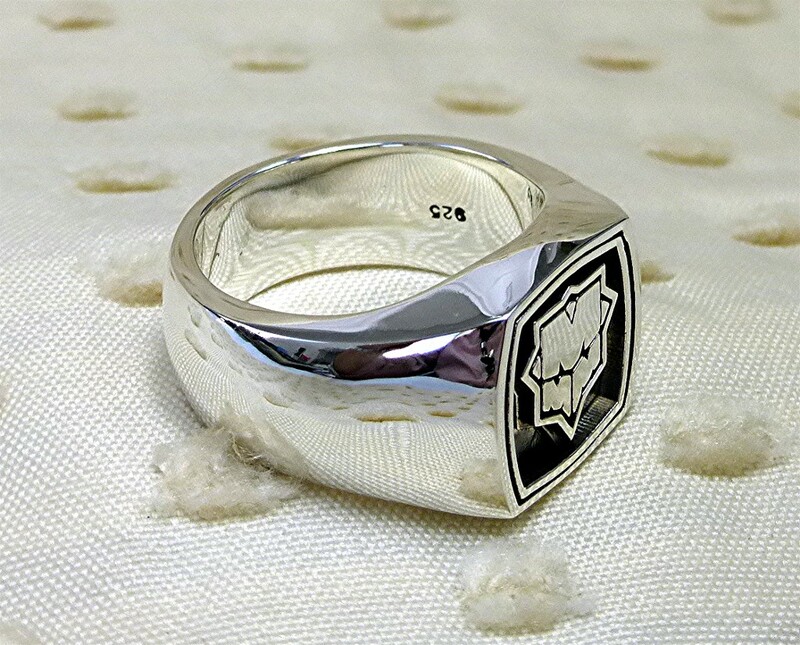 15mm wide ring made of solid Deox silver. 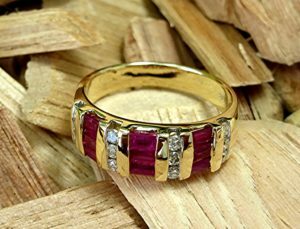 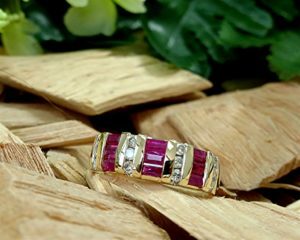 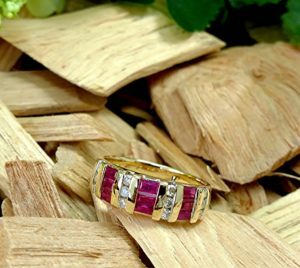 Made in 14k yellow gold with dozen round brilliant cut diamonds weighing 0.30 ct. and nine baguette cut rubies weighing 0.60 ct.